Lots of Choices. How to Decide? Trying to find the right product can be an overwhelming task for the consumer with a plethora of manufacturers, shafts, club heads and more to evaluate. 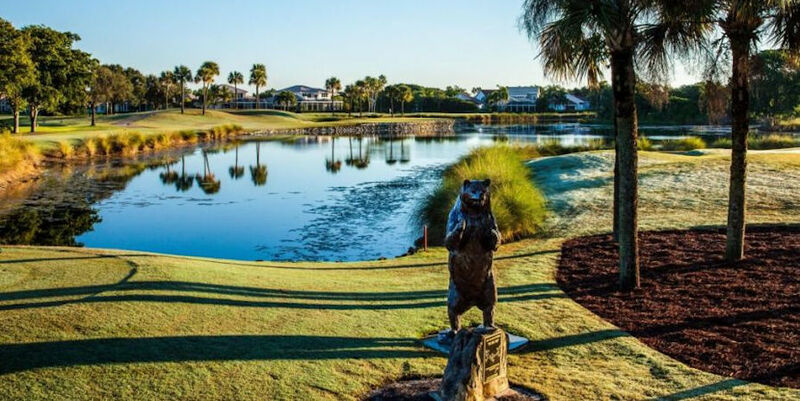 That is why Cool Clubs offers an extensive club fitting experience now available at PGA National Resort & Spa. The Cool Clubs experience begins with the client being greeted by a Master Fitter at the Cool Clubs Tour Trailer, and together they create a customer profile. The client begins by hitting balls with his or her own equipment on Trackman, the world’s most trusted club and ball analysis monitoring system. They explain the importance of knowing what product the customer is currently playing and why an understanding of how well or how poorly that equipment suits the customer is essential to a sound fitting. Testing out the new equipment they have on hand is where the real fun begins! The Fitter reviews and inputs swing statistics such as launch angle, smash factor, swing speed, carry distance etc. into the Cool Clubs patented Shaft Simulation System (S3 Technology) to determine which club head to shaft combination, with the right specs, is the best fit for the client. This method combined with their proprietary software allows them to provide an experience unlike any other. Once the client is satisfied and places an order, an in-house Master Club Builder creates a custom set of clubs of the highest quality shipped out from their Headquarters in Scottsdale, AZ. “We are very fortunate to have the ability to not only perform fittings, but the ability to also build the clubs ourselves so we can control the outcome. We are the only service that has an Research & Development department and any type of analytic approach such as having shaft fitting software (our proprietary S3 system) and technology that we have designed in-house,” explains D’Orazio. Cool Clubs has an exceptional understanding of the club-fitting process from start-to-finish. With their team of engineers, best in industry shaft technology, proprietary software and the use of Trackman, they work with more tour players than any other club-fitting business. 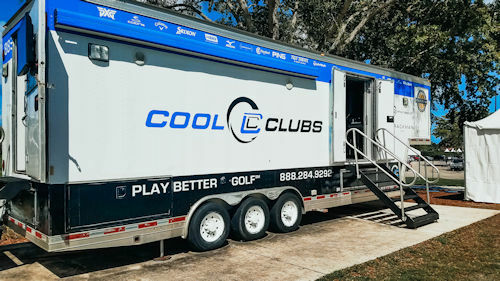 The Cool Clubs trailer is set up on the Champion Range, which allows them to provide a tour-level experience to all clients.